With the economy being in the toilet these days, I have several friends and acquaintances who are looking for work due to one reason or another. In the past I had suggested indeed.com to several folks due to the large group of job sites that it aggregates data from. For that function, it seems to work quite well. 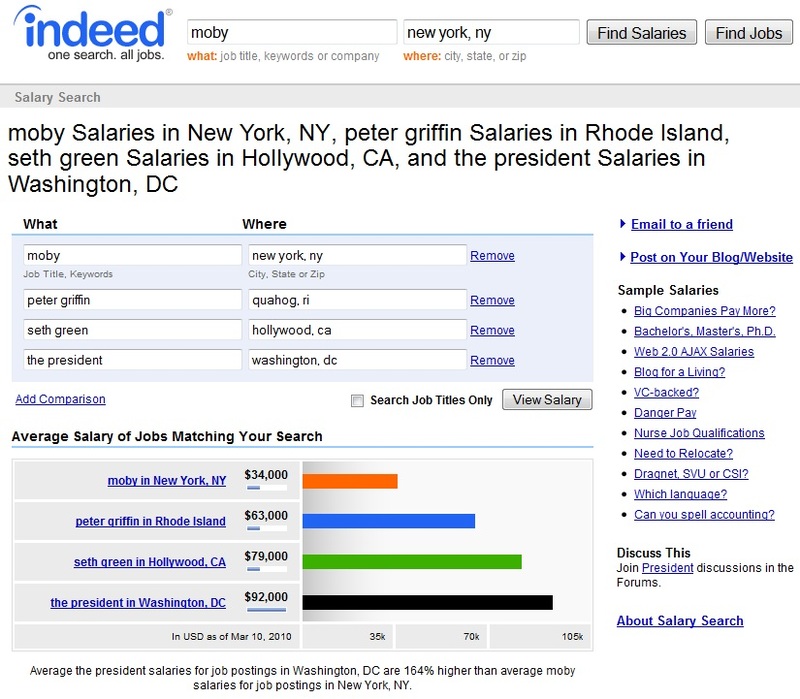 The thing that I found more interesting is the Free Salary Search that indeed.com promotes. I'll sum up my results with a few images. I put in some nonsense data to see what comes back and was quite amused. 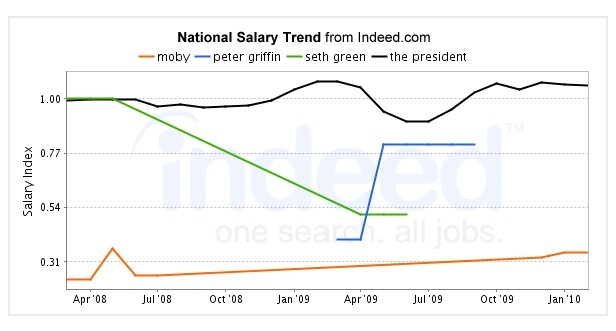 And for the Grand Finale..
With the data and graphs it is clearly evident: Pimps earn 93% more than Playas.